On 1 September 1995, Jim Grant sat down to write. He’d never written a novel before and, having just been made redundant from his job at Granada Television, reckoned he’d have to earn himself a laptop. So he went out and bought three pads of paper, a pencil, a pencil-sharpener and an eraser, investing the princely sum of £3.99 in his new vocation. Then settled down to work. Long-hand. The book he wrote — called Killing Floor — earned Grant a laptop all right, and a great deal more. It, and his subsequent books, have regularly topped the bestseller charts for the last twenty years. But you probably don’t recognise his name. That’s because Grant writes under the pseudonym Lee Child. That, really, is all you need. And it’s all writers have needed for centuries. If you have a typewriter, great. A computer of some sort’s even better. But neither of those things are essential. All you really need is some method of recording your thoughts. A pencil and paper work fine. Just ask Lee Child. 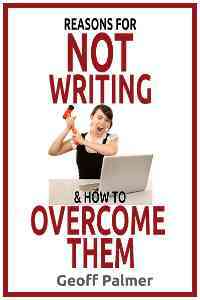 These days, I mainly write fiction, and that’s the general slant of this book, but most of the tips and techniques discussed here apply to all types of writing, whether it’s a thesis, a short story, a family history or a novel. Writing can be hard work, but not in the sense of digging a ditch or mixing cement. As I write this, Council rubbish collectors are doing the weekly street collection outside my front window. It’s winter. An icy southerly is lashing at them with whip-cracks of horizontal rain. You can sense the weariness in their movements, see it in their faces. They’ve been battling the storm all day. Meanwhile, I sit watching from my cosy office, nursing a cup of tea and contemplating this introduction. “You think you’ve got it tough?” I tell them. Quietly. This book is divided into three sections. 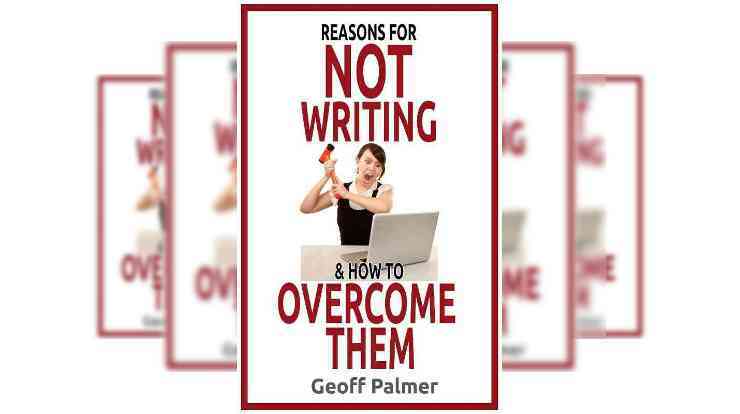 Most of the Reasons for NOT Writing come in the first part because that’s where most beginners have most problems; finding the time, dealing with uncertainty, getting underway and so on. But starting doesn’t mean you’ll finish. In fact, the vast majority of books started are abandoned at around the one-third mark. We’ll look at why in Part II: Keeping Going. The tricks of the mind don’t stop there either. Even after you’ve typed THE END you’ll find more reasons why your book is still not quite finished. We’ll deal with those in Part III: Letting Go. This story is recounted in Reacher Said Nothing : Lee Child and the Making of Make Me, by Andy Martin. in weekly parts over 12 weeks on both this website and on Wattpad. the book is available in paperback, Kindle and all other e-book formats.